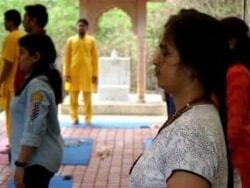 Together with my soulmate and spouse Gurupriya, I participate in the Ananda Yoga Teacher Training in Pune. We visited different Ananda places worldwide during the last couple of years, in the spirit of “the world is a book and those who don’t travel only read one page”, and practicing our motto “go with the flow”. This is sometimes still a tough and complicated exercise, although we got the chance to face already quite some challenges, as so many of us have. Compared to them, this one is peanuts but it makes me aware again of the importance of achieving centering and going with the flow of life. 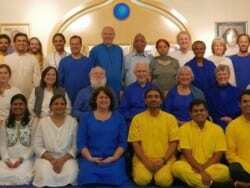 We had spent a month with our European devotees at Ananda Assisi in Italy but we were forced to drive back home a few days earlier than planned for medical reasons. My first reaction was one of frustration and I had an inner argument with Master, Divine Mother and Swamiji. Yes, it was a real meeting. I asked for an explanation. We had a wonderful time with lovely gurubhais and it was not fair it had to end like this. The meeting took me so far that I could feel a certain acceptance. I knew there had to be a higher reason but I could not figure out what was trying to happen. Driving back to Belgium, Gurupriya was chatting with an enthusiastic Pune Kriyaban about the benefits we felt of the Ananda Yoga that we did in Assisi. Suddenly she asked me what I thought about going to India, since a new Ananda Yoga Teacher Training (AYTT) was going to start within one week… I had driven already many kilometers and was getting a little tired, so all I could think of was to relax a couple of days at home. Recently I read that we have to quit counting (read article), but at that moment, not a single body cell was considering an immediate preparation for India, and “weren’t we driving home earlier than planned because of medical issues…?” I felt confused and tried to focus on the traffic, including the breathtaking scenery of Switzerland. Back home, our alternative doctor, a real saint who sees the whole body and mind picture, gave a few miraculous treatments and although he was concerned, he gave permission to go to India. That gave me peace and we came immediately in the flow of organising: visa, flights, guesthouse… The support of the Pune gurubhais was heart-warming. Suddenly I realised how Master’s higher plan expressed itself the last couple of days. It was necessary to leave Ananda Assisi earlier otherwise we would not have had enough time to arrange everything. Master knew we would make the difficult decision to leave earlier when health was involved. So, what at first seemed as a frustrating and incomprehensible situation turned out to be a real blessing. Our friend and guide Swamiji Kriyananda once told the story of a very wealthy man who lost all his money in the stock market crash in 1929. This was a completely different and more serious situation, but the point of the story is the most important. The man wondered “Why? Why does this happen to me?” and decided he would end his life. He wrote his family a farewell note and, afterwards, went to the beach to walk into the ocean. It didn’t work. The harder he tried, the stronger the waves threw him back on the beach. He got so completely exhausted that he could not stand up anymore. Then, with the corner of his eyes, he noticed a beautiful and fragile shell lying next to his head. It amazed him that the shell had not been cracked by the very powerful waves. Suddenly he realized that the shell survived only by going wherever the waves took it, without any resistance. This was a turning point in his life. From then on, he tried to adapt to whatever circumstances crossed his path. Money became of no interest anymore. He found peace of mind. 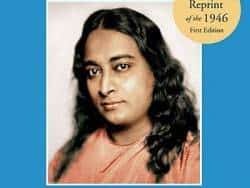 Swamiji concluded that you can’t control life or environment, but you can control yourself by learning to live at your center, so that you become able to accept whatever is and to be happy in yourself no matter what happens. 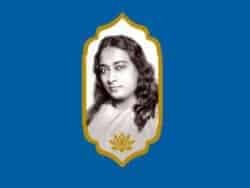 And although we hear this often in Master’s (Paramhansa Yogananda) teachings, still we get caught by the “Why does this happen to me” idea when unexpected and incomprehensible things occur. The biggest blessing is that all of this now brought me to the AYTT in Pune, and I really hope that many devotees may follow. Through yoga I can train myself in centering and accepting. 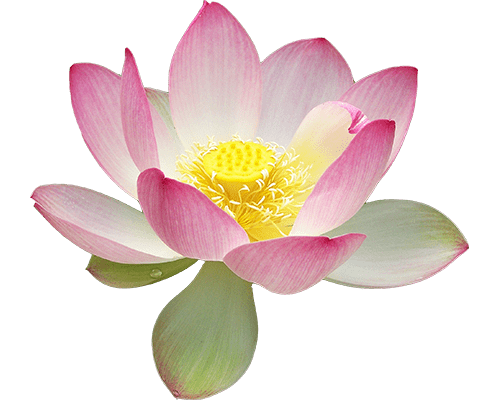 “Ananda Yoga for Higher Awareness,” founded by Swami Kriyananda, is so much more than doing postures. It includes everything: it combines Hatha yoga as well as Raja yoga, it forces the energy into the spine as well as magnetizing the upper body to attract that energy, so that it can be brought up to the brain. We are taught awareness of how to enter the postures, how to do and how to exit them, yes, even how to pause in between them. Every single step is important. Each pose, or asana, has its own affirmation to empower the will and the benefits of it. 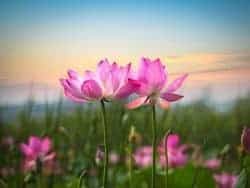 Swami attuned himself into every single word of these affirmations, and even the order of the words. You can also use them during daily life; “At the center of life storms, I stand serene,” “Nothing on earth can hold me,” “Secure in myself, I accept whatever is,” and so on. 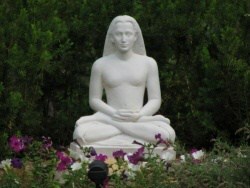 All this brings us into a state of higher awareness, preparing us for the most important part of Ananda Yoga; meditation. Step by step, the “Why idea” will pop up less frequently. It will improve your acceptance, and it will become easier to go with the flow of life. Thanks to Swamiji and the Masters of Kriya Yoga, we are blessed to have the opportunity to make this all happen in our own life, here and now. And when it so happens that you hear the “Why idea” knocking on your door, use different techniques to avoid its opening. 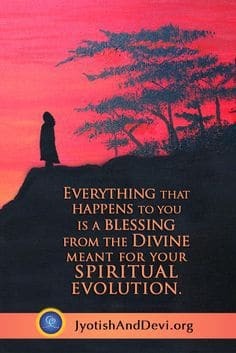 Use your rising energy to be aware of Master’s knocking on the door of your heart. Open it and allow him to enter so he can take charge of the flow of your life. Now, believe it or not, Divine Mother is testing me right away. While finishing this text, I became ill and am having higher and higher fever… (thanks great souls for all the community support I am receiving!) I didn’t have fever for many years. Now that I have to study and practice for the course, there it is. To be honest, I have to admit that I hear that “Why idea” knocking at the door. With all my strength and by using all the affirmations I know already, I refuse to open the door and focus as much as possible on Master’s knocking. 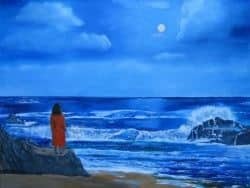 I try to become the shell, let the waves of life take me wherever needed. No resistance, go with the flow. How much will power you are putting in this is admiring. Master’s Blessings on you both. I am fully inspired by your narration. I too am facing similar problems, and my only refuge is Paramguru Paramhans Yoganandji, whose life and teaching have inspired me beyond description. May master’s blessings and swamiji’s love always guide you and Gurupriya. May you both always live healthy life in our guru’s presence everywhere…Aum.. Very inspiring Shantanu. Thank you for sharing with all of us. 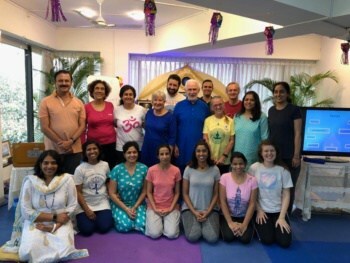 So glad to read your blog post here Shantanu, and for the guidance that led you to take the Ananda Yoga training in Pune. It was a pleasure to meet you and Gurupriya in December 2018 at the Ananda Pune Retreat with my guide Amruta from Pune! May you both forever feel the ever new joy that comes from being a radiant channel, sharing Ananda Yoga and more!